PointMan® Ballistic & Blast Blanket | Defenshield, Inc.
PointMan® Ballistic and Blast Blankets can be used for personnel shielding, doorway protection, operation in mining, demolition, construction and pipelines, military and police operations, and homeland security. 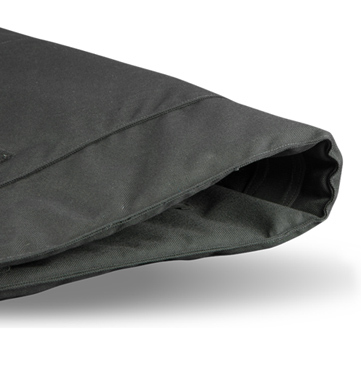 They are designed with multiple layers of high-performance, unidirectional, aramid material and DuPont fibers, and the blankets’ ballistic material is contained in a sealed cover made of black 210-deneir nylon with 2.5 mils of polyurethane waterproof cover. They are available in sizes of up to 57” x 61” in single pieces, with limitless size availability when the material is stitched with a 4” overlap between pieces. PointMan® Ballistic Blankets are certified NIJ 0101.06 Level IIIA resistant to protect personnel and equipment from pistol-rated threats. PointMan® Blast Blankets have undergone independent testing at the NIJ Laboratory and can provide superior protection against a variety of blast threats.